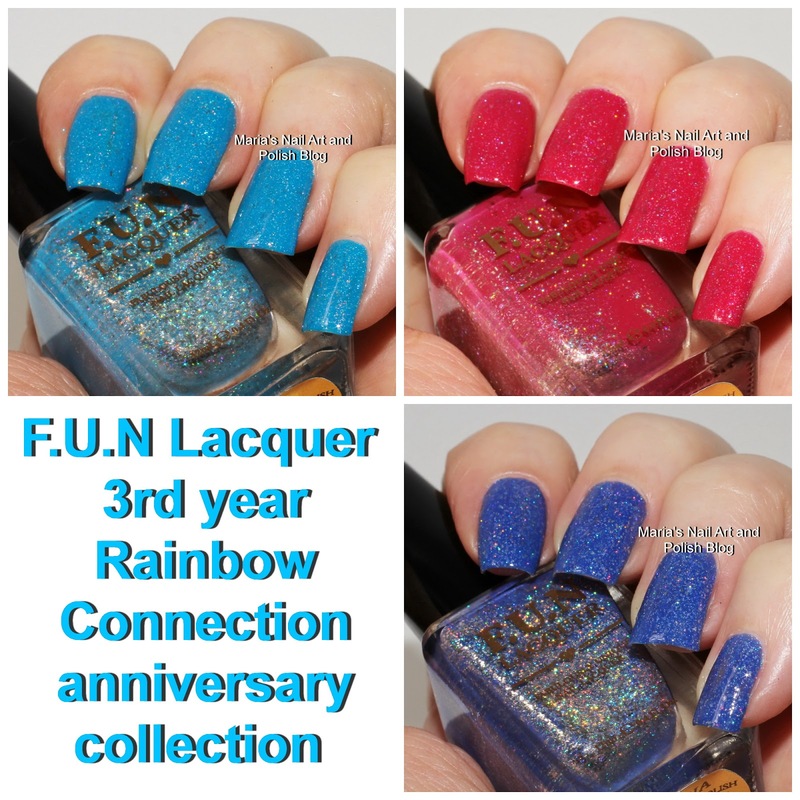 Today I have the new 3rd year Rainbow Connection anniversary collection collaboration with Fun Lacquer – 3 beautiful polishes! F.U.N Lacquer Aja is a slightly dusty medium blue holo with silver flakies, and you see it in two coats with a coat of Seche Vite. F.U.N Lacquer Jem is a pretty magenta pink holo with silver flakies. Again in 2 coats and a coat of Seche Vite. F.U.N Lacquer Shana is a gorgeous purple/blue holo with silver flakies, ever so slightly dust. This is in two coats with a coat of Seche Vite. What do you think - what's your favorite? I think I you are right! I think Shana is the prettiest, but I'm not over the moon about the finish. I agree, it could have been a stronger effect - but I still love them! Hahaha, you are too funny! Oh, I'm happy to hear it!